Electronic parts provided by Classic Components. Photo courtesy of Classic Components. TORRANCE, Calif.—Direct sourcing of electronic components for the appliance industry used to be pretty simple. An OEM would order directly from the manufacturer or through authorized distributors to obtain any required components. There was usually no need to look any further. Today, the challenges of a highly stressed supply chain are forcing many appliance OEMs to rethink the way they source components. With parts such as multi-layer ceramic capacitors (MLCCs) and other low-cost components in chronic shortage with extended lead times for delivery, manufacturers must be able to get these parts on-time at the lowest possible cost without assuming additional risk. As a result, many are turning to independent or hybrid distributors for long lead-time parts. The primary caveat: The components must meet the specifications, thereby avoiding compromising the integrity of the end product. In other words, appliance manufacturers want components that can be traced back to the original manufacturer. The process begins, he said, with understanding how to distinguish one independent distributor from another. This often comes down to a mixture of experience, reputation, and the extent of the supplier’s global supply network. Therefore, it is critical to understand the quality management systems of your independent partners. To accomplish this, leading independent distributors invest millions to manage global supply networks, rate/prioritize suppliers, establish preferred supplier relationships, acquire the latest inspection equipment, and utilize effective Quality Management Systems (QMS). 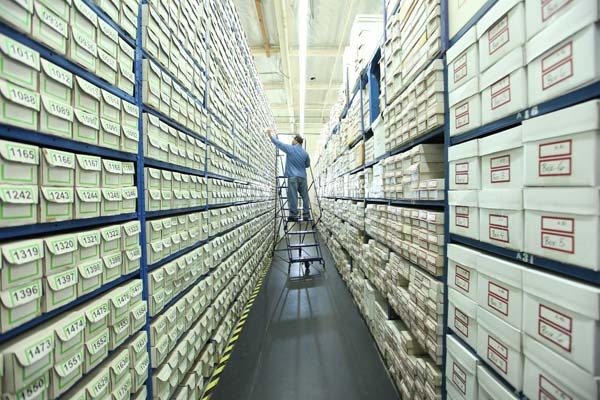 Electronic components in stock at Classic Components’ facility in Torrance, California. Photo courtesy of Classic Components. It also means analyzing and inspecting sources with an investigative diligence. What path did the parts take to get there? Who is the manufacturer and how is that relevant? Where was it made? How was it shipped and packaged? Is demand for a component strong enough to make its availability viable? Only through examination and assessment of all these factors, in conjunction with traceability, can the risk be truly mitigated. To verify the chain of custody, traceability documentation can be provided that identifies the name and location of all the supply chain intermediaries, from the part manufacturer to the direct source of the product. If this traceability is unavailable, a risk mitigation plan is required. Finally, visual inspection, testing, and physical analysis are performed on all incoming products. Many of the shortages were predicted some time ago. As a result, independent stocking distributors, like Classic Components (www.class-ic.com), have spent the past few years engaged in a long-term strategy of identifying, and investing in, directly-sourced, critical electronic components. In doing so, independent distributors protect the supply, but are also able to lock in lower prices by making purchases before the inevitable changes driven by reduced supply and increased demand. To protect high-volume orders, a distributor can lock in prices and delivery dates for many months at a time. This ensures that the inventory will be there when the customer needs it, and not sold to someone else. In some cases, they can even make speculative purchases for a customer or provide financing to purchase inventory when a qualified client has capital constraints. Another direct source for high-demand parts comes from tapping into a large global network. Because of the worldwide demand for components, independent distributors have expanded globally and placed sourcing experts in key supply markets. For example, in addition to its 60,000-square-foot facility in Torrance, California, Classic Components has established 12 regional offices in strategic locations throughout the world to support its global distribution business. The company boasts nearly 200 employees, who specialize in various aspects of the business, including supply chain, quality, technology, and logistics. “By using regional quality centers and logistic hubs, we have the flexibility to purchase components from any country, in any currency, and then ship them to anywhere they are needed,” said Thomas. He gave the example of a customer in Mexico that wants components from Taiwan, due to availability. 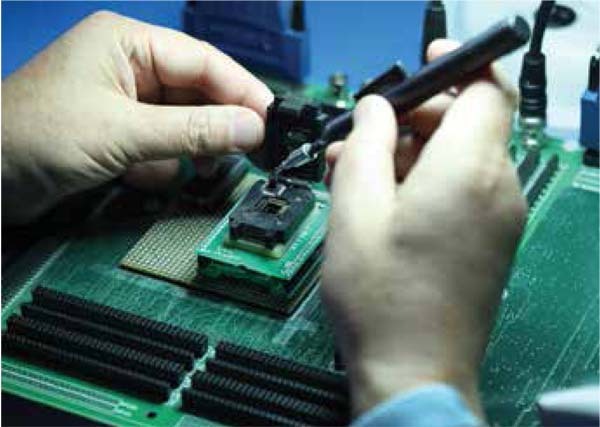 If the Taiwanese supplier will only sell to local companies, Classic Components can purchase the components from its satellite office located there. Later, the stock can be transferred or sold to another branch office before it is ultimately delivered to the customer in Mexico. Classic’s global logistics can also help to manage or avoid tariffs by shipping to and from its international hubs in Hong Kong and the UK. Another way to ensure the reliability of the independent distributor is to ensure that it is thoroughly vetted. Established companies are used to complying with frequent requests for audits, and some of the robustness of the quality systems implemented by independent distributors can be attributed to this activity. Significant shortages of many of the high-usage electronic products needed in the appliance industry are expected to continue for at least the next two to three years. In light of this, the independent distributors’ seat at the electronic components sourcing table has never been more relevant.